During the week of January 7th students in the Meadows (2nd and 3rd grade class) revisited the works of the contemporary artist, Andy Goldsworthy. Using some of his ice sculpting projects as inspiration, students were introduced to their next major project, Ice Building. Students previewed the tools, steps, and timeline for the project and then explored some of these elements on a smaller-scale project. 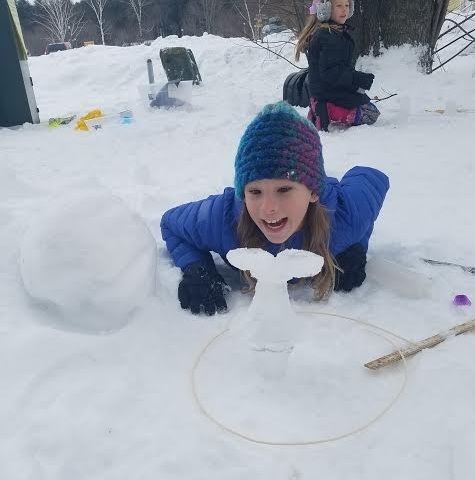 Students were tasked with making a small ice sculpture measuring taller than wider, to prepare for the larger, whole-class project starting the following week.